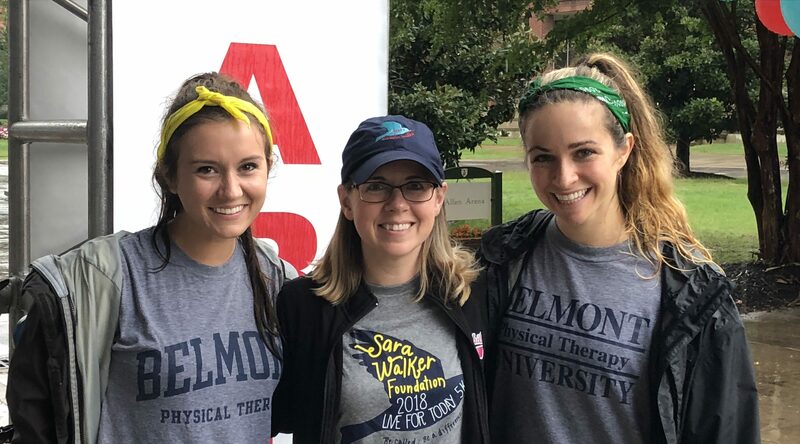 The Belmont University School of Physical Therapy (PT) and the Sara Walker Foundation have awarded the annual Sara Pigg Walker Physical Therapy Scholarship to this year’s recipients Kara Mae Sheft and Meredith Massengale. Sara Pigg Walker, PT, DPT (’03) was a friend, Belmont PT classmate, alumnus and professional who passed away at a young age, but whose memory and legacy continues to inspire. The Sarah Pigg Walker Endowed Scholarship was established to honor her memory and legacy and is awarded to the rising 3rd year student(s) who demonstrate strengths in leadership, scholarship, service and clinical performance.